You can easily design your own style greeting cards, business cards, identity cards etc using DRPU Card Maker Software. 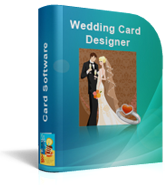 Card designing software provides various drawing tools to make labels and cards for different occasions. 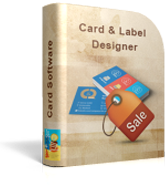 Card and Label Maker Software designs and create labels, stickers, tags, greeting cards, ID badges and other types of card in rectangle, ellipse and rounded rectangle shapes. 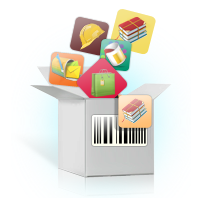 Software designs multiple numbers of cards, stickers and labels using advanced dataset series features and save designed labels at user specified location on PC. 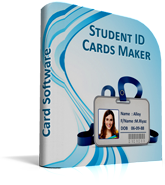 Using ID card maker software you can create identification cards for employees, students, and other people. 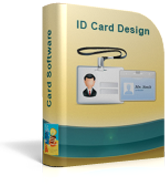 ID card generator software designs identity card with different shapes including rectangle, rounded rectangle and ellipse. 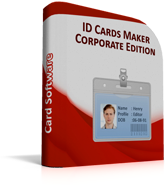 ID Cards Maker (Corporate Edition) is a complete package for designing id card for employees, students, visitors etc. Using this software, You can quickly design list of id cards with different barcode value and text at the same time. Student id Card Maker Software design id cards of group of students simultaneously using 'Live Mode and Batch Processing Mode'. Software is having pre-defined templates for quick designing of id card. 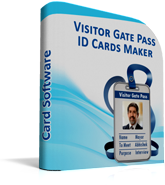 Visitor id card maker software design visitor id card and gate pass for visitors along with advanced option to add all visitor's details to the database. You can easily manage all incoming and outgoing visitors from your company or office. 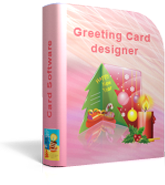 Greeting card maker software designs greetings for Christmas, New Year, Mother’s day, father’s day and other occasions. Card generator Software provide option to create your own greeting cards using wizard and with blank format. 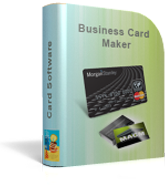 Business card maker software has capability to design colorful printable business cards with option to add photo and text messages. Software designs commercial cards with different shapes and size and fulfill all types of professional cards designing needs. 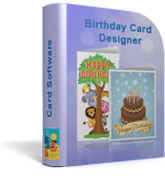 Birthday card maker software helps you to design attractive cards using different designing objects like line, arc, text and various shapes. Software provides dataset series features to create multiple numbers of birthday cards. Wedding card designing software designs attractive wedding invitation cards using clipArts, shapes, images and other designing objects. Software provides inbuilt email settings to send designed wedding cards at specified email address. Logo maker software easily creates business logo in various colors and sizes. Software allows you to add signature, WordArt and water mark on the logo. Logo maker program provides inbuilt icons, templates and images to design company logo.